A touch above that o?ers brand distinction. 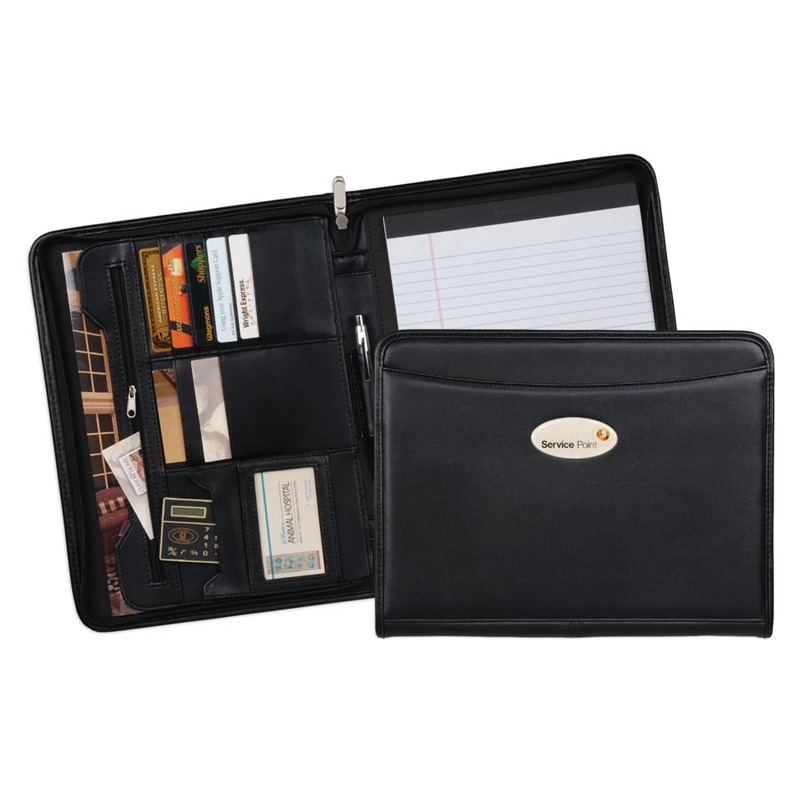 Start with our softest simulated leather material with stitched and padded covers and ?nish with a multi-pocketed organizer, and you have a product your customer will love. • Imprint: Deboss or Hostamp included up to 8” square (larger sizes available). 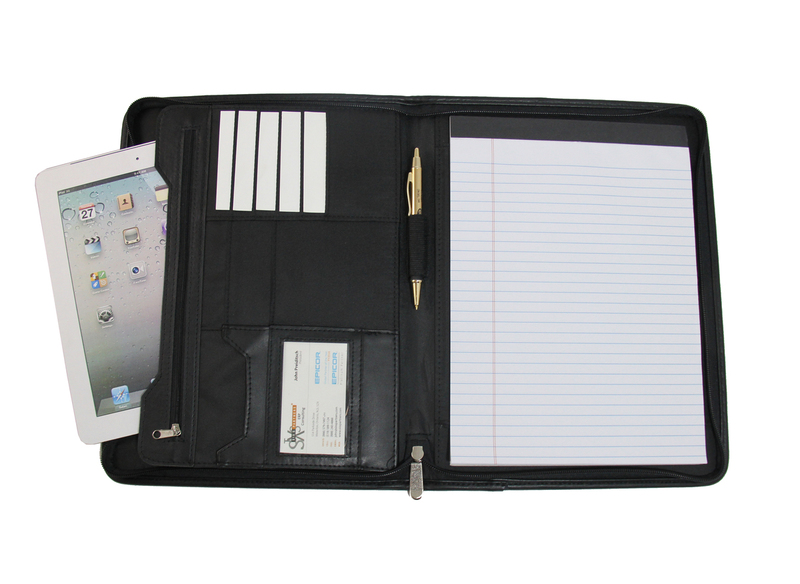 13 1/4" x 10 1/2"
- Pens: Add a branded pen to ship with your padfolio for an additional charge.